I am renovating the TINY bathroom of a 1920's house. 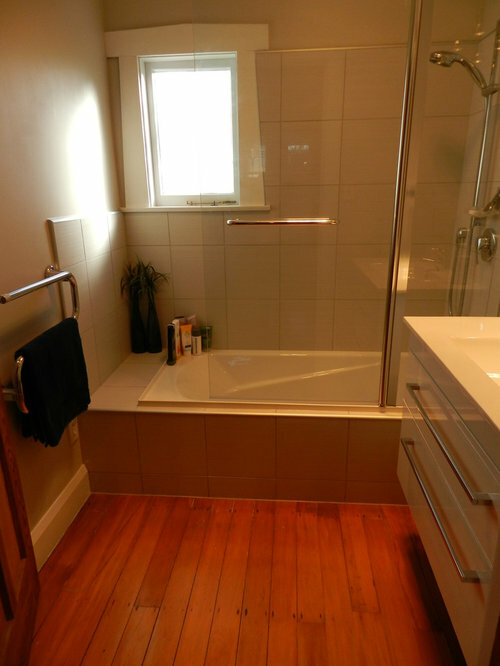 The bathroom currently has a bath over shower and the floor is the original native timber floorboards which carry through to the hallway/kitchen/dining area. We are swapping out the bath for a 1500x800mm walk in shower. 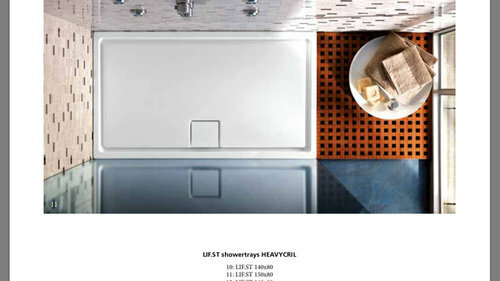 My question is should I go for a ready-made shower tray or a tiled shower tray? Keeping the rest of the floor as original. Going for a white subway on the shower walls to keep with the character of the house. 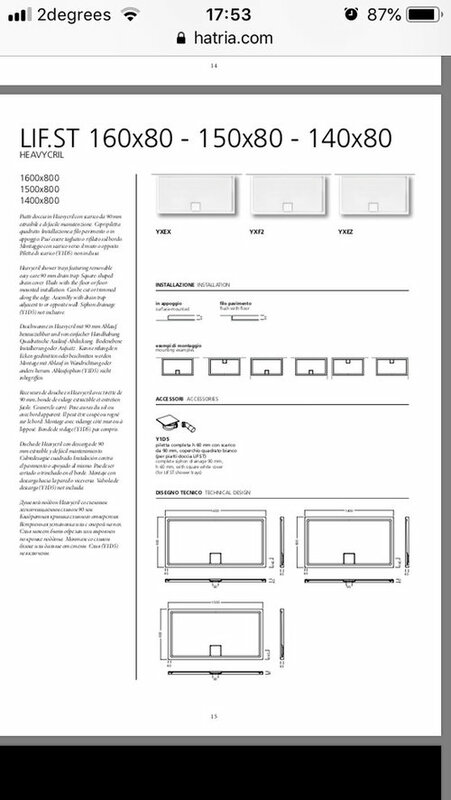 Would be great to get some advice from someone who has used the shower tray in the images I have attached. Walk-in-showers are great for large bathrooms, but are problematic for small bathrooms. Even more so with a timber floor which does not comply with the regulations for waterproofness for wet areas. There are regulations in place that your waterproofing will need to comply with, as set out by the Building Code of Australia and Australian Standards (AS 3740-1994). You will need to do some research and speak to a professional as you are heading for disaster with the combination of a timber bathroom floor, a small bathroom, a walk-in shower, no waterproof membrane to protect the floor and no understanding of the legal requirements. Houses of the 1920's traditionally had tiled floors so I would be looking at one of my suppliers such as the Olde English Tile Company to help you source somethiing that is period appropriate and legal instead of timber floors. I have a shower over the bath and the original wood floor. No problems here and kids are 7 and 9 now. Hi Dr Retro - I am in NZ so building code here is probably different. Old weatherboard houses here do not traditionally have tiled bathroom floors they are native timbers such as Kauri, Matai and Rimu. 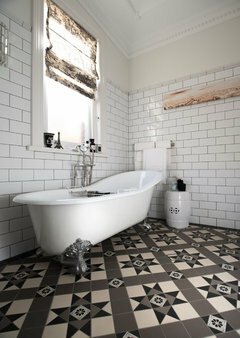 People often do tile over their bathroom floors though but have to reinforce them & level them etc. so movent doesn’t cause loosening of the tiles. We can’t/won’t tile the whole bathroom as the floorboards run directly from the hallway into the bathroom at the end of the hallway. 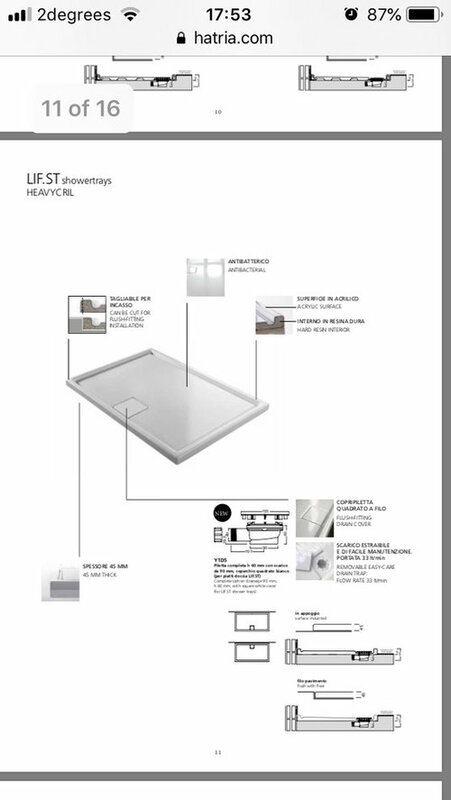 Shower tray would be sitting on top of floor in same place as current bath, not flush mounted with floorboards, & will be fully enclosed by tiled walls on 3 sides & glass doors. Help! Which colours go with these bathroom tiles? Advice for very small bathroom reno.